Economically designed motors for small to medium sized boats. 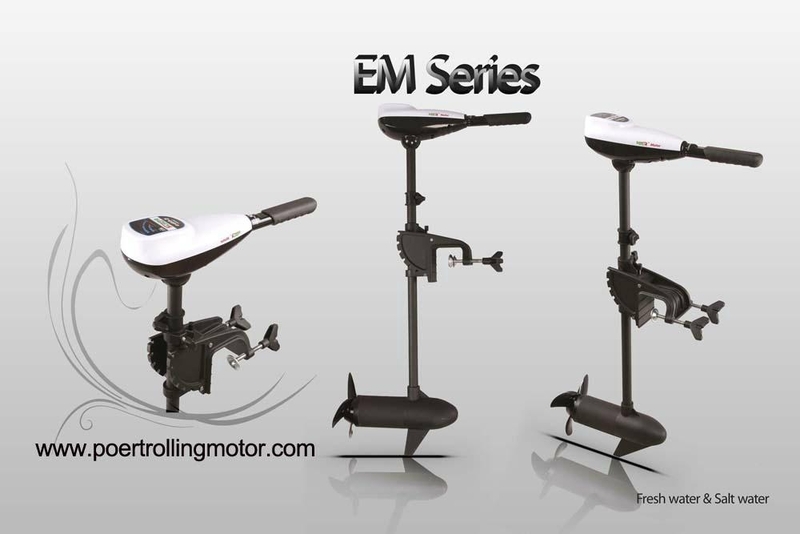 POER’s EM series has all the essential elements of a great trolling motor, and aimed at suiting the economy conscious anglers. It’s a classic style .Simple appearance, easy to tilt/stow/deploy. It’s sturdy, powerful and reliable. Featuring 28, 34,44,54,84 pounds of thrust, and 3 horsepower. Running on 12-volt,24-volt ,48-volt power. EM Series has a telescoping tiller, 5 forward/2revers speeds, a 3-blade weed-less propeller, LED battery indicator and speed level indicator. Similar or imitated ones can be found in the market, but we focus on user experience, battery/motor efficiency with affordable price that they cannot copied from.